is there a parent does not want to give your kid all the best, safe, beautiful and interesting! And arranging the personal space of the kid is one of the important options for the realization of such desires. 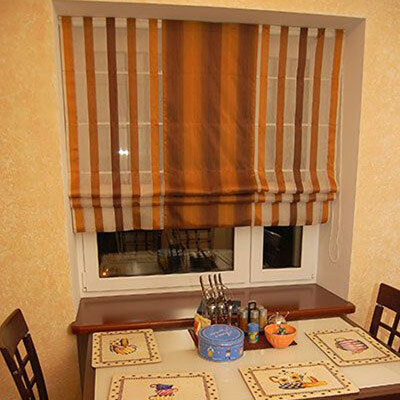 Comfortable, safe, practical and at the same time a fashionable kid's room that the kid likes - a dream for most Russian dads and moms. 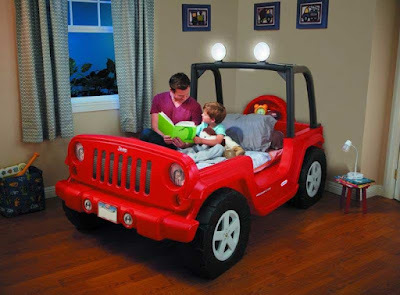 The choice of kids furniture is not an easy task for parents. And if the son (or daughter) adores cars, then the question of which bed to choose is practically not discussed: of course, a bed-car! What features of this piece of furniture, you need to understand more, because it looks quite bright and unusual. 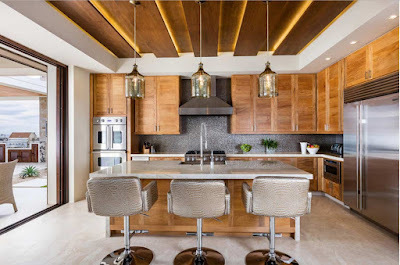 The comfort of modern kitchen consists of small things, accents, details. 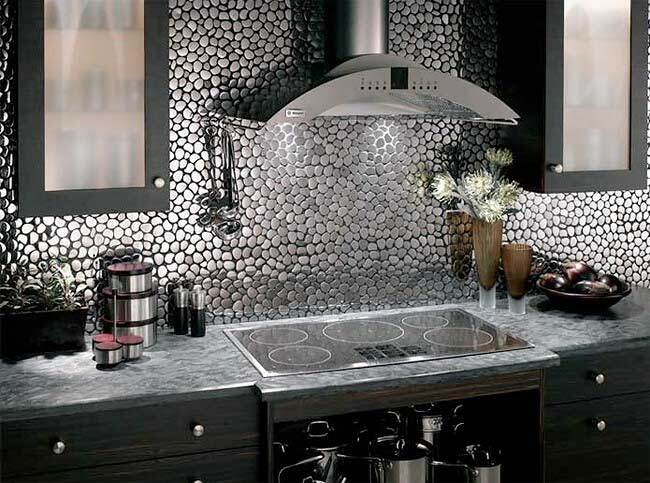 But there are elements that set the tone for the entire kitchen ensemble. 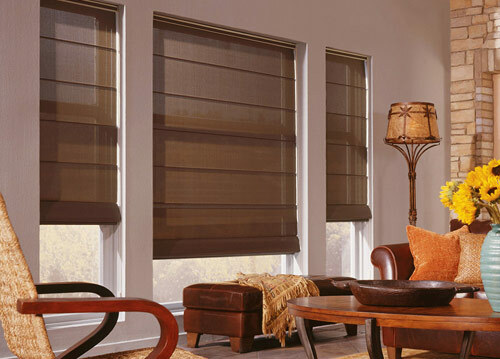 Curtains for windows are the core on which various elements are threaded in order to create a single picture. 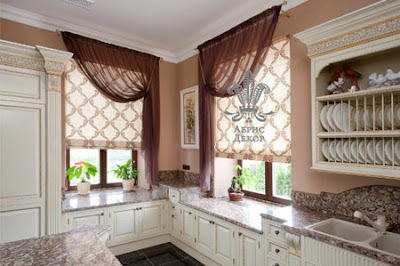 Among the various options for interior design Roman curtains for the kitchen - the obvious favorites. Modern design trends are very democratic, they can be expressed in a few words: laconism and practicality. It is these qualities that distinguish kitchen roman blinds. 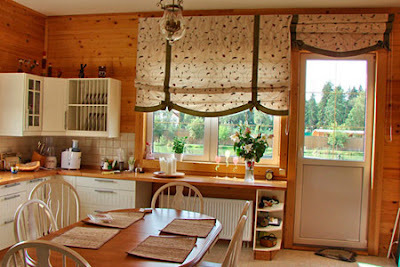 But before you go to the store to buy fashion accessories for the kitchen window, it's best to get to know him better. 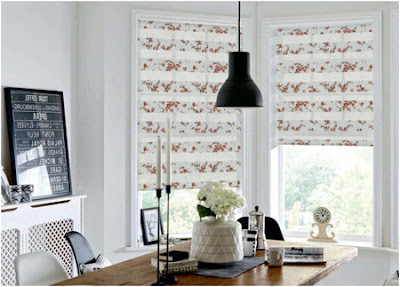 the roman blind is a fabric, which is fixed on the cornice with a textile adhesive tape. The lower part is fixed by the weighting bar, roman blinds for the kitchen are super. By type of management. 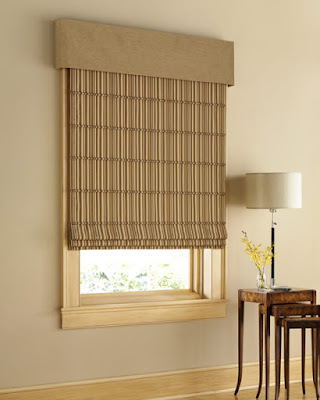 The basic system for Roman blinds consists of a cornice and a mechanism for controlling cloth. 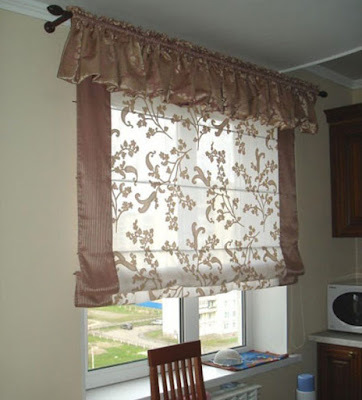 You can raise and lower the curtains manually, using a chain or lace. The mechanism can be equipped with an electric motor. 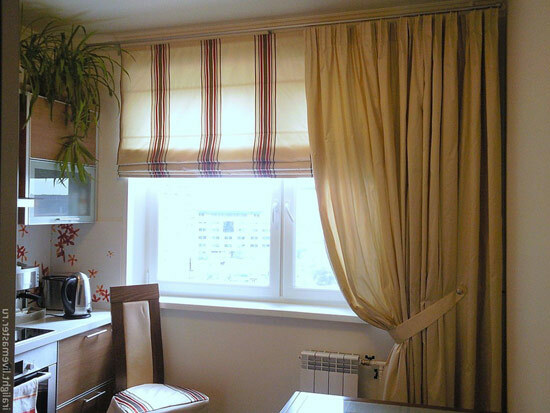 In this case, the lowering and lifting of the curtains are carried out using the control panel. In all cases, the Roman blind can be raised or lowered to Any height you want. 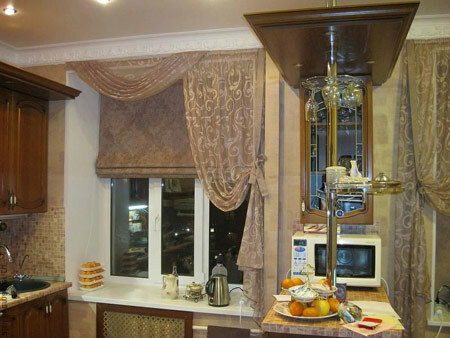 The choice of the mechanism is determined only by personal taste and budget. True, there is an opinion that moisture and steam, as well as droplets of fat, adversely affect the electric motors of curtains. 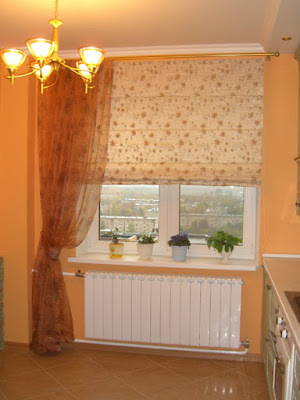 But if you have good ventilation, you can safely buy curtains with remote control. According to the type of draperies. Classic curtains when lowering straighten completely, forming a smooth as if stretched on the frame of the fabric. When lifting the fabric again folds. 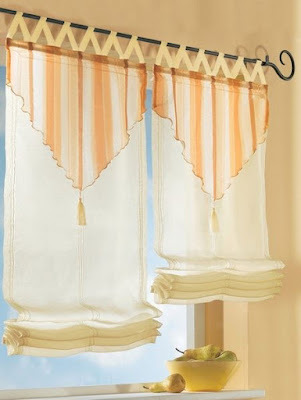 Cascade curtains, even when lowered, retain folds, forming elegant draperies. 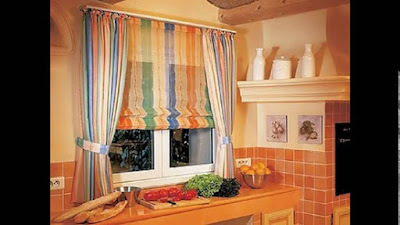 The latter option is traditionally used in country and Provence styles, as well as in various art variants. 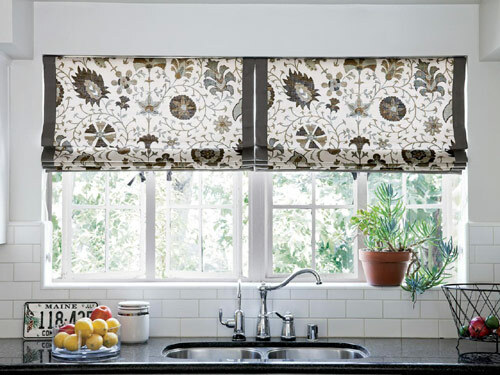 when you Choose curtains for the kitchen, you need to remember the practicality and convenience, so most designers prefer the classic options. kitchen roman blinds - this is not only a mechanism and guides but primarily a fabric. 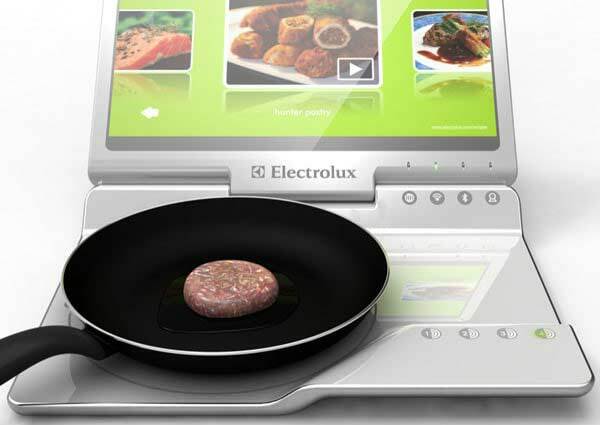 On which option to stop the choice, if it comes to the kitchen? Natural or synthetic? 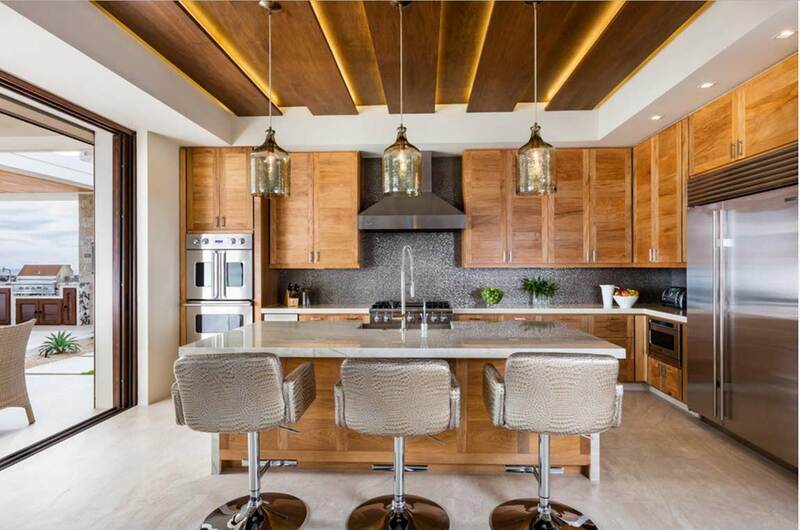 Despite the fact that it is more natural, natural materials are not only beautiful but also useful for people, in the kitchen, they are not always appropriate. 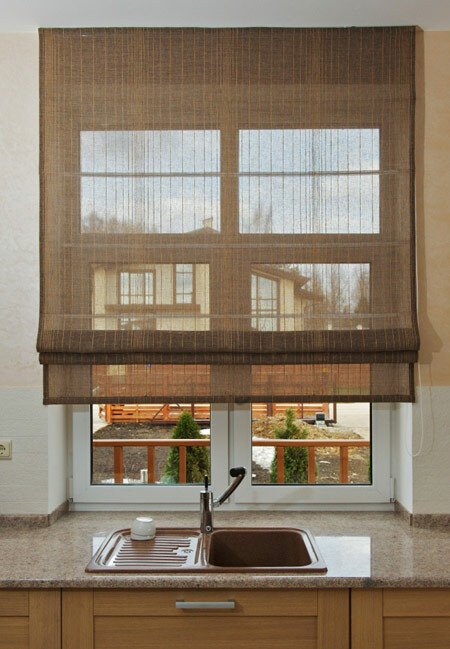 They quickly absorb odors and fat, fade under the influence of ultraviolet, and stains of kitchen origin with a natural fabric are more difficult to hang out. 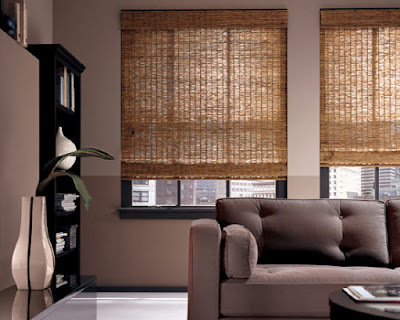 Therefore, Roman blinds for the kitchen are better to choose from synthetic material. Light or dense? 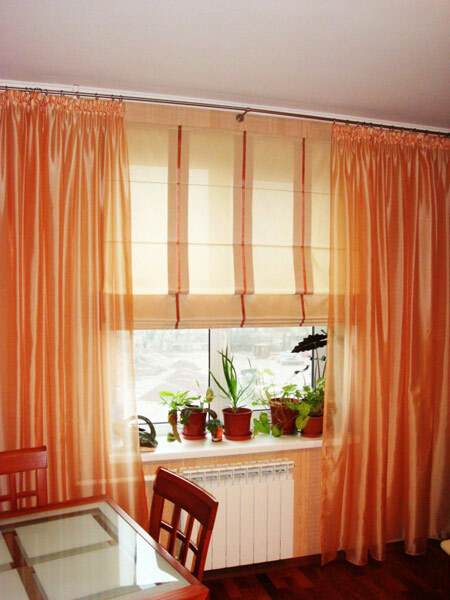 Heavy fabrics are suitable for classical interiors, spacious rooms, high windows. Lightweight fabrics will unload the interior, make it more airy, transparent. If you have a large window, you can choose a combined option - transparent Roman blinds and thicker drapes more saturated color. It is best to change the curtains depending on the season - light and weightless will help to fully enjoy the spring and protect from the sun in the summer, and more dense and heavy will be appropriate in the cold season. Long or short? 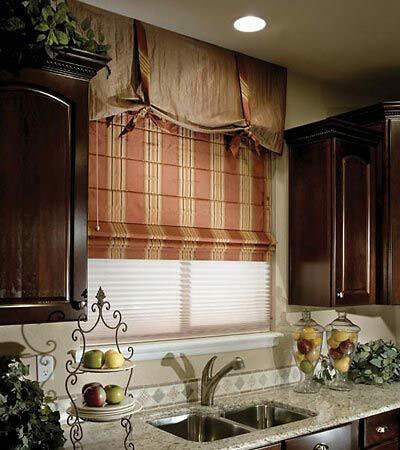 Based on considerations of practicality, roman blinds for the kitchen are better to choose from the window sill. 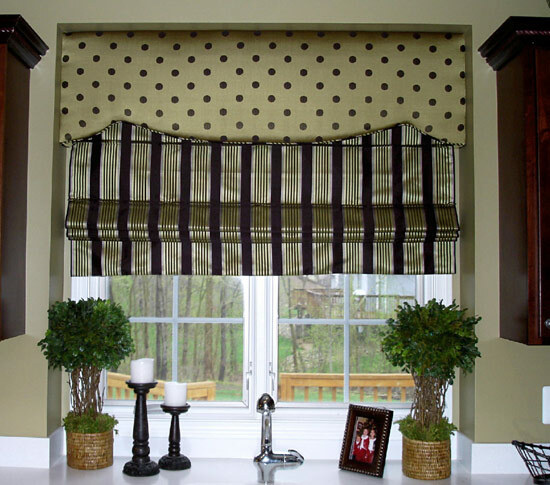 This is also convenient if you are the owner of a large multi-leaf window. 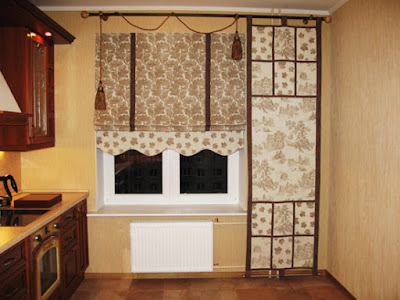 It can be strengthened by several medium-length curtains. 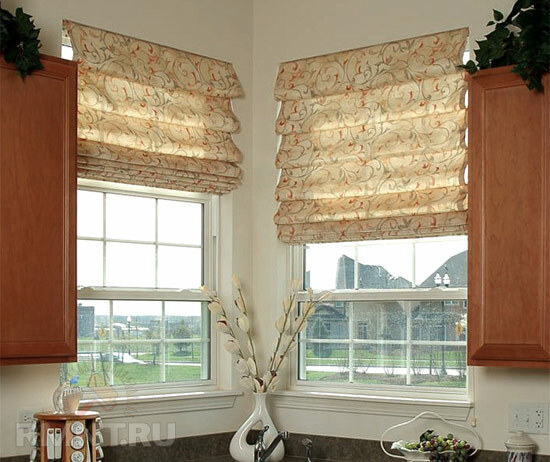 In addition, stopping at this length of curtains, you leave the space under the window function. One of the determining factors for choosing Roman curtains for the kitchen is the color. 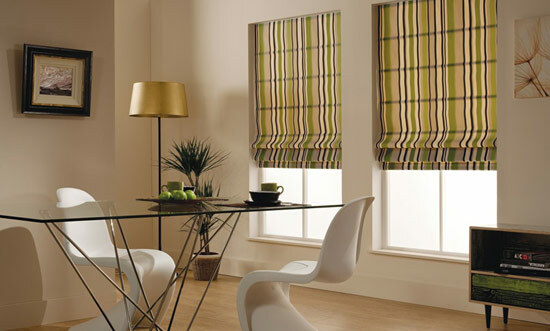 Contrasting or in tone to walls, with a pattern or monophonic, striped or flowered - there is no end to the issues. It's good that good taste and common sense tell us the right choice. Just in case, there are some simple rules for designing curtains, which always come to the rescue. Light colors of Roman blinds visually push the boundaries of the room, make it more spacious and lighter. 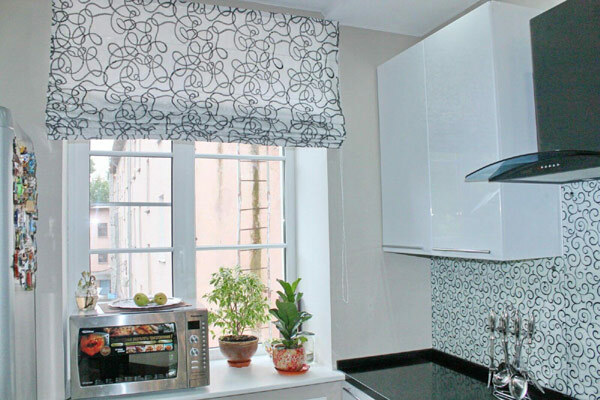 Although cream, beige, soft blue and other pastel shades help to make the small kitchen a little more spacious, in large rooms, they look no less stylish. The size of the kitchen is not at all an obstacle to the manifestation of fantasy. Do you want something unusual, and even extravagant? Use Roman blinds with a large pattern. 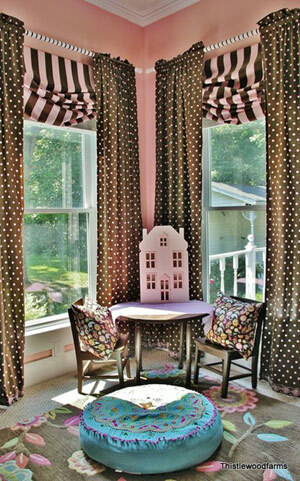 The only restriction that must be remembered for small rooms - curtains should not be too variegated. One background color and on it a one-color contrast pattern is enough to create a fresh and unusual image. Use the strip. 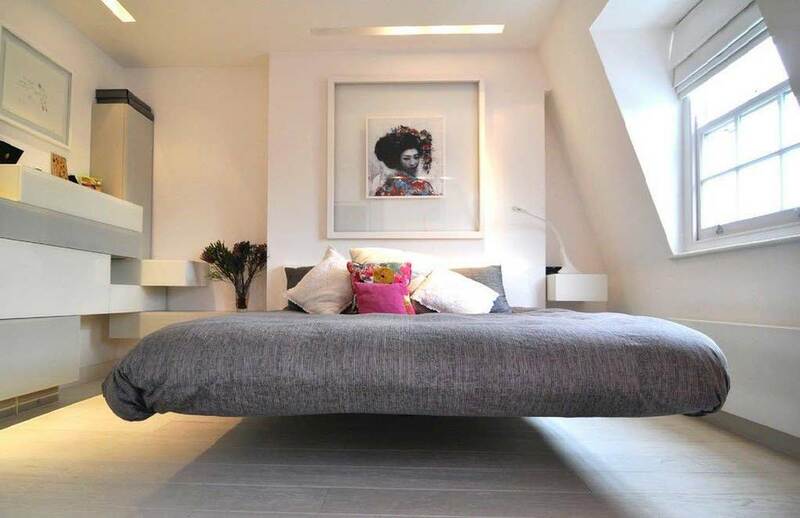 This drawing provides great opportunities not only for the performance of designer fantasies but also for correcting the room. 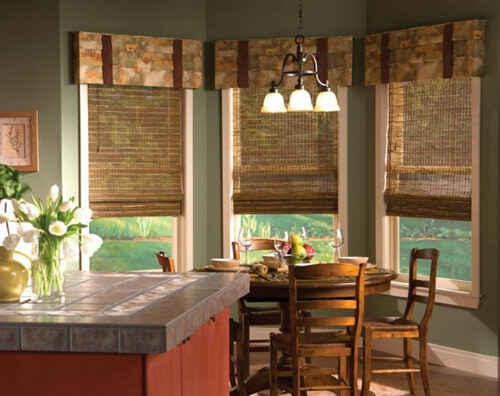 A vertical strip will raise the ceiling and make the window opening higher and narrower, and horizontal lines will make the wall look wider. 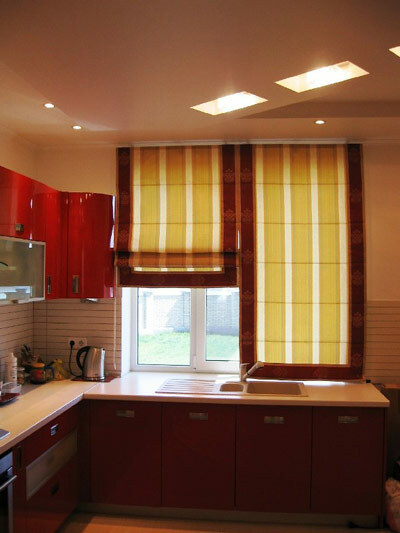 The actual strip of different widths of different matching colors will give dynamism and modern note to the interior of the kitchen. 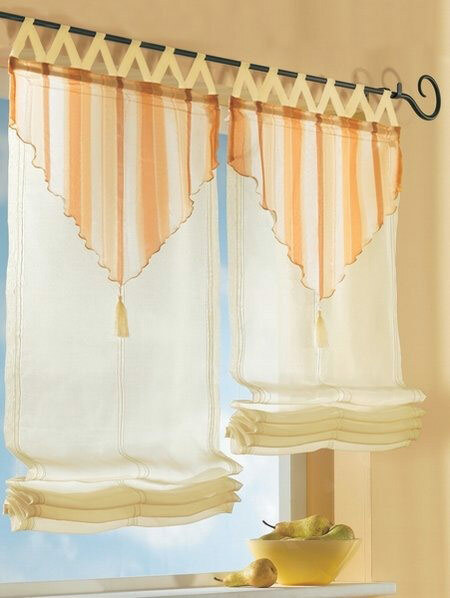 And the trellis stripes with drawings on your Roman blinds will add retro charm. 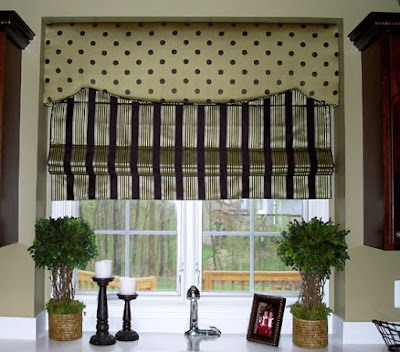 Actively use the color scheme of Roman blinds to support the accents. 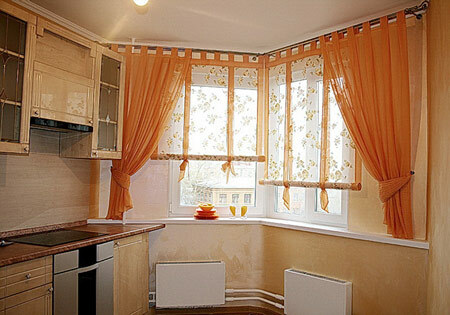 For example, if you have a kitchen in calm pearly tones with bright orange and light green nuances, choose curtains, which also have these colors. 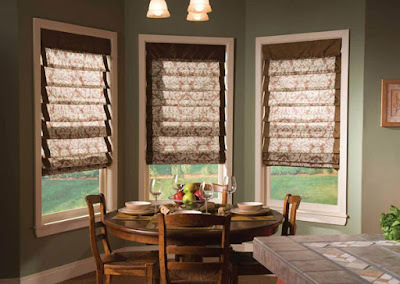 Do not aim, however, so that the curtains completely match the color with the color accents - it will be enough to have a few strokes of the desired tone. It looks more refined and thinner. Remember that a dark contour visually reduces objects, and a light one increases. 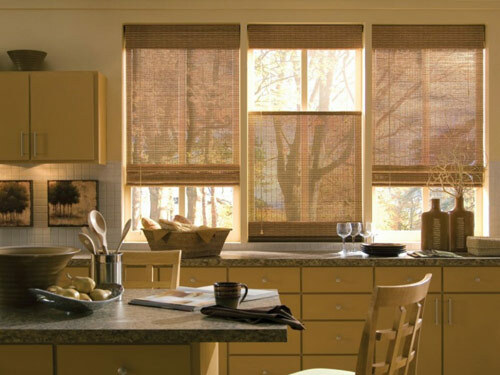 If you are trying to "move apart" space, it is better to choose a light shade of the wall around the window and a more saturated tone of curtains, rather than vice versa. The main thing, what captivates the hearts of Roman blinds - it's simplicity and conciseness. Do not try to decorate these simple and light structures with festoons, additional coats, tassels and other pretty details. 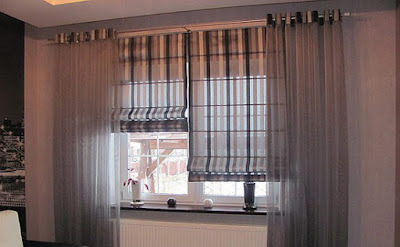 To do this, it is better to choose a different type of curtains. The simplicity of design. 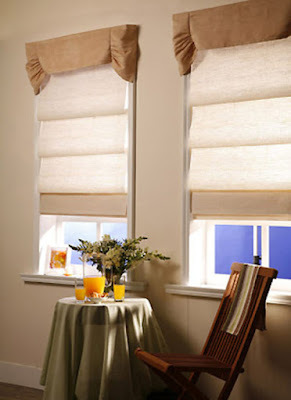 It can be fixed on a plastic or wooden window, on a frame, a leaf or installed directly above the window opening. Stylish design. Roman blinds always look winning - they are dropped, elevated to a certain height or completely assembled. 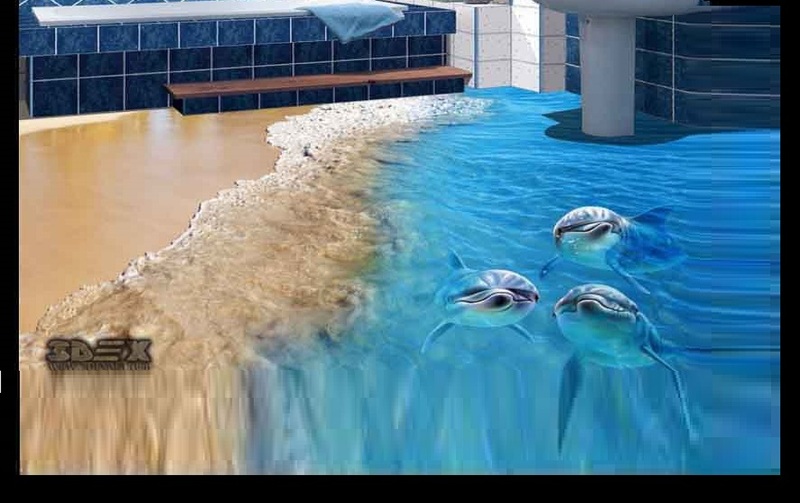 To do this, do not have to make any effort - this is a feature of their design. Ease of operation. 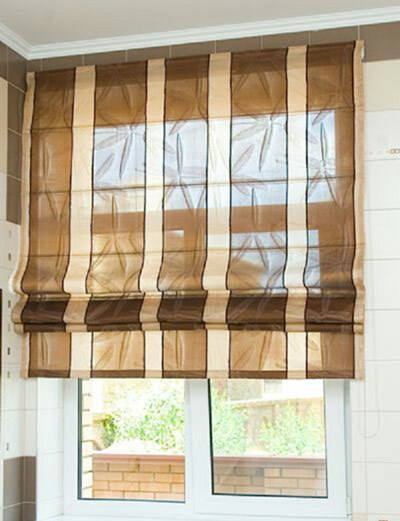 If the fabric loses its original appearance, it can be easily removed from the fastenings and washed. It is easy to remove and reinforce the tissue. Freedom of creativity. 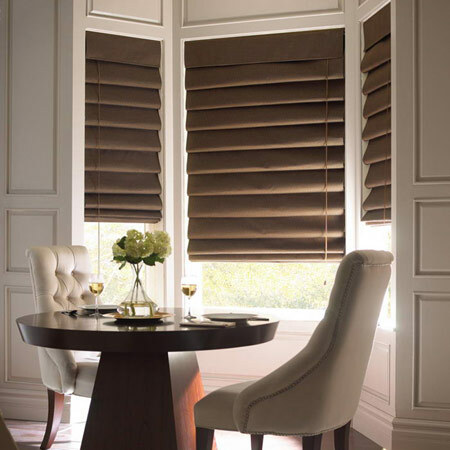 When choosing Roman blinds, you can limit yourself to the choice of finished designs, or order them in the atelier, and also make your own. You can choose not only the desired drawing but also ask to print your own version of prints or colors. 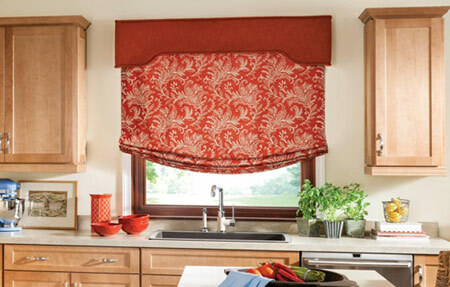 All this makes Roman blinds, not just a fashion trend. This is, first of all, a practical and reasonable choice for the design of modern kitchen space, not only stylish but also comfortable. The kitchen is intended for cooking. Here, family members or guests can gather for a joint meal and socialize. Maintenance of comfort and cleanliness in the kitchen will help the practical design of the working surface. 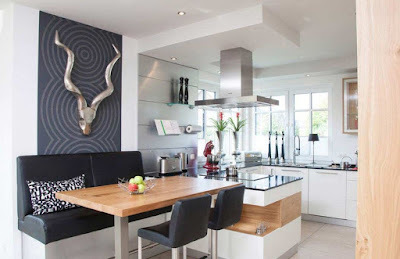 One of the popular options for finishing is wall panels for the kitchen. Unlimited guide to get a 3D tile flooring in your bathroom, Amazing 3D floor tiles designs and images and inspirational ideas for designing and printing 3D tiles images for floors and walls. 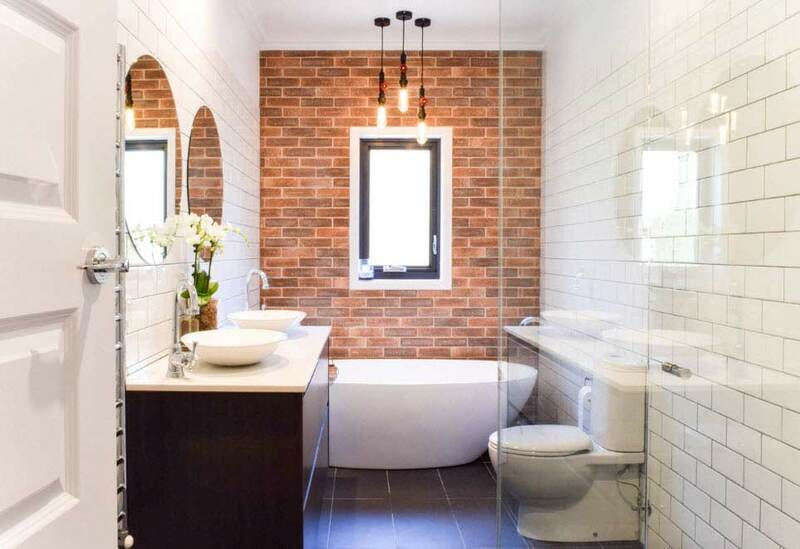 When used in the interior, 3D floor tiles always become the main visual accent in the room. 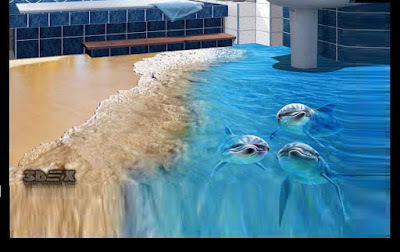 Depending on the chosen type of 3D flooring tiles and the nature of the image applied to it, you can add depth to space, set the desired emotional tone or simply create an original and unique decor. 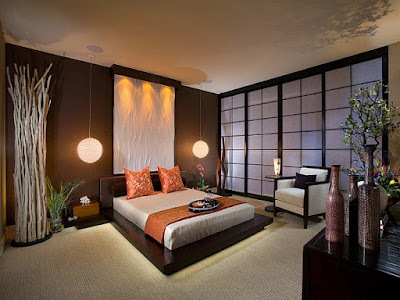 Interest in the Japanese style bedroom is constantly growing, and this is not surprising because Japan is a complicated, unusual and mysterious country with a rich history and cultural heritage. Japanese dwellings can be compared to a living mechanism, so everything in them is expedient, and each thing has its purpose. "Emptiness is omnipotent" - they say in Japan, thereby explaining the large free space of the bedroom and the practicality of a few pieces of furniture.